I am a big fan of the collected works of Paul Thomas Anderson. Bart is decidedly less so. This makes for a fairly entertaining podcast. 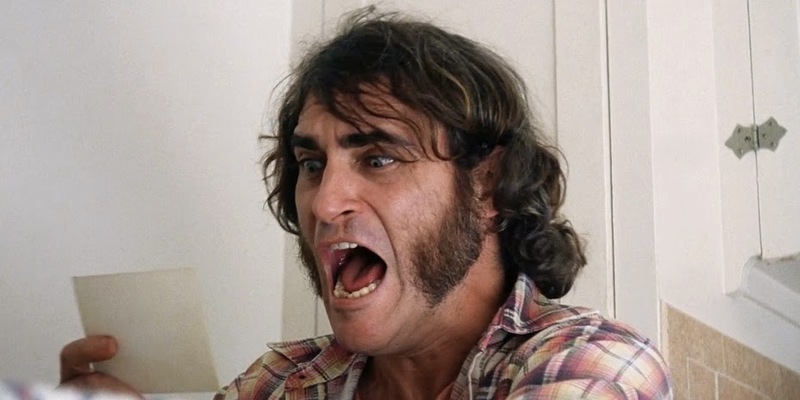 His latest film, Inherent Vice, is certainly not his best work and it's easy to see why the majority of audiences would find it pretty off-putting. After all, it's a detective noir about the death of the 1960's west coast counter-culture wrapped in a mystery so dense as to be practically impenetrable. But that's part of why I found it so enjoyable. Instead of spending the (very lengthy) running time trying to figure out what happened to Shasta Fay Hepworth and why I should beware the Golden Fang, I was able to sit back and let the colors and the textures all wash over while basking in the glory of Joaquin Phoenix's doper PI, Josh Brolin's unhinged LA cop and Jenna Malone's ridiculous chompers. I will say that I think the film suffers some pacing issues and feels like it goes on about 20 minutes longer than necessary. There's also a part of me that wishes the film's tone retained some of the lunacy and charm of that first trailer. Ultimately, the strong performances by Phoenix and Brolin were joyful enough to get me through, but I must admit that Inherent Vice didn't pack quite the emotional wallop of some of Anderson's previous efforts. Next Week: We finally catch up with Nightcrawler and I introduce Bart to The Bourne Identity.